Bielefeld/Munich (ots) – The SAP portfolio is subject to constant change, and this has an impact on the operation of SAP applications in data centers. 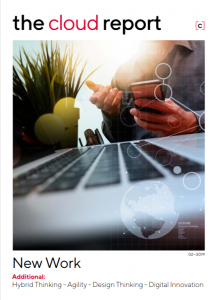 While the management of SAP applications used to be strongly driven by processes and governance considerations, the continuous advance of the digital transformation means that it now also has to provide support for the modernization of the company itself and ensure the successful integration of mobile devices, data analyses, cloud computing, and social media, explains the new PAC Study (http://ots.de/CuBoke). „The study showed us that there is hardly any area where a business does not collaborate with external service providers. Particularly where SAP applications are concerned, itelligence has extensive expertise that enables it to provide customers with a comprehensive offering, from strategy consulting to transformation to long-term support and the optimization of their applications,“ stresses Norbert Rotter, CEO of itelligence AG. 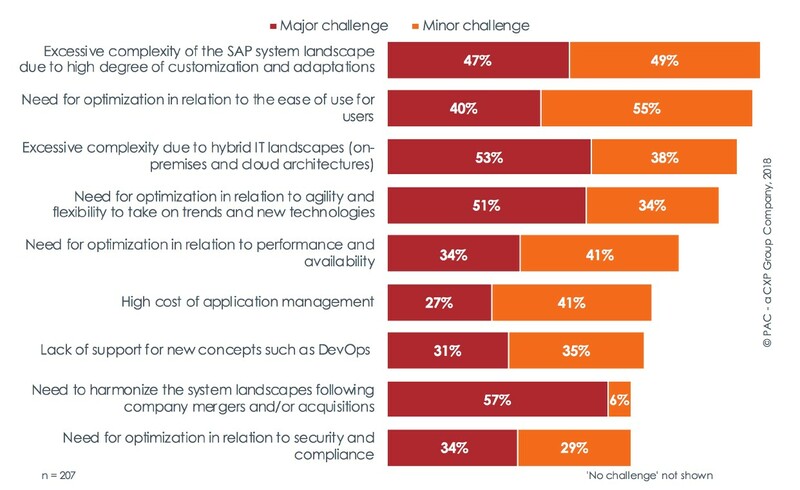 The current „Application Management in Europe“ (http://ots.de/X9eUjK)study provides an overview of the status quo and future development in the field of SAP Application Management. For this study, the market researchers from PAC – a teknowlogy Group company (https://www.pac-online.com/) – questioned IT decision-makers of large companies throughout Europe on behalf of SAP consulting company itelligence. „As is the case for many other areas of IT, traditional application management is also undergoing significant changes and developments. At the same time, internal IT departments are trying to handle the current tremendous challenges with ever more limited resources in terms of headcount and specialist knowledge. This is precisely where we as itelligence can provide support to companies with agile and flexible Managed Services,“ says Lars Janitz, Executive Vice President, Head of Global Managed Services, itelligence AG. 96% of the respondents perceive their own SAP landscape as a challenge due to the high degree of customization and adaptations. As a majority of the companies are using or planning to use a number of different cloud applications and deployment models in parallel, they are also having to deal with the complexity of the integration and the management of these solutions. 91% of the respondents perceive the complexity of hybrid IT landscapes as a challenge. Such hybrid IT landscapes often comprise legacy IT, private and public cloud models, as well as self-operated and (out)sourced infrastructures. All this requires consistent end-to-end governance, compliance, and security across numerous different applications and infrastructure platforms (see Fig. 1). Offshoring and nearshoring will experience increasing competition from rising automation. 41% of respondents are already using or are planning to use automation or technologies based on artificial intelligence (AI) to manage their SAP systems. At the same time, a further 46% professed an interest in using these technologies in their organization (see Fig. 2). 66% of the companies thus prefer involving an external service provider such as itelligence for general tasks such as Application Management or Application Hosting. That said, the requirements relating to the management of an SAP application landscape have changed. In future, the requirement will no longer just be to „keep everything running,“ as used to be the case for SAP Application Management services in the past. Instead, customers will demand their providers to have greater industry-specific know-how that will facilitate closer integration with the business. Ideally, by collaborating with external providers in implementing and operating their SaaS solutions, companies will have the opportunity to benefit not only from their providers‘ technical capabilities, but also from their innovativeness, as cloud migration can often be a trigger for business transformation. The study document „Application Management in Europe“ is available for download at https://itel.li/ams-study-europe-en. itelligence is a leading international full-service provider of solutions in support of SAP solutions, employing more than 7,500 highly qualified employees in 25 countries. itelligence is an SAP Hybris Gold Partner and global value-added reseller that has won numerous SAP awards. itelligence is an SAP-certified provider of cloud services and an SAP platinum partne rand realizes complex projects in the SAP solution-based environment worldwide. The company’s services in support of SAP solutions range from consulting and licensing to application management services and hosting services to proprietary industry-specific solutions. In 2017, itelligence generated total sales of EUR 872.2 million.